I’ll Take My Gretsch White Falcon! I’ve spent the majority of my life passionately involved in making music. I started my first rock band, The Malibu’s, in 1963, a few months after my folks gave me my first, cheap guitar. I currently play folk/folk-rock concerts here at home in Seattle, Washington. I’ve played just about all varieties of music. That which can be self-taught, anyway…. I grew up in Yakima, WA, which, in the early 1960’s, just happened to be a hotbed of guitar players. And boy, did those players have some fine guitars! It seemed like every one of my friends had an older brother or sister, who owned an amazing example of the luthier’s craft. I was fortunate to try out many 60’s-vintage instruments, including a Gibson SG, a Fender Telecaster, an amazing gold-top Gibson Les Paul, and a fabulous semi-hollow Rickenbacker owned by my good friend, Randy Knowles (yep, I’m Randy Bowles, and he’s Randy Knowles). I had a mid-60’s Mosrite Mark IV electric in 1966-67; and later, a “long and slippery” 3-pickup, 1970 Hagstrom, a la Frank Zappa. Subsequently I had an even older Mosrite, which I am shown proudly displaying in the photo below. And, in the early 70’s, I used a 1952 sunburst Gibson Les Paul in my country band, the White Stone Express. So I know my guitars; I’ve played the best, and I’ve owned a few real gems. In 1979, I was happily engaged in fronting a popular Puget Sound country-rock band, Stampede Pass. The late, KMPS Radio DJ, Lee Rogers, started the band in 1975. I took the reins as front man in 1978, after working shoulder to shoulder with Lee for three years. (He was “Waylon” to my “Willie”. — The real Willie Nelson actually sat in with Stampede Pass in 1977. Willie had to borrow my guitar, so all I got to do that night was watch and listen, in awe.) As front man for “The Pass”, I wrote songs, sang lead and played some guitar solos, along with our designated lead guitarist, Dave “Dry Gulch” Brown. Dry Gulch and I were equally into guitars. He had a true treasure, a 1950’s-vintage Fender Telecaster; while his “extra” guitar was an early, hand-made Boogie Body Tele-style ax. Well, not to be outdone, I sported three fine electrics of my own: a cream-colored 70’s Fender Tele, a really advanced Peavey, which came with a full complement of switches and knobs, and my absolute all-time favorite guitar, a 1968 Gretsch Viking. It featured gold-plated parts, to include the tuning keys, knobs, bridge – and especially, a gold-plated Bigsby tailpiece (think early whammy bar). 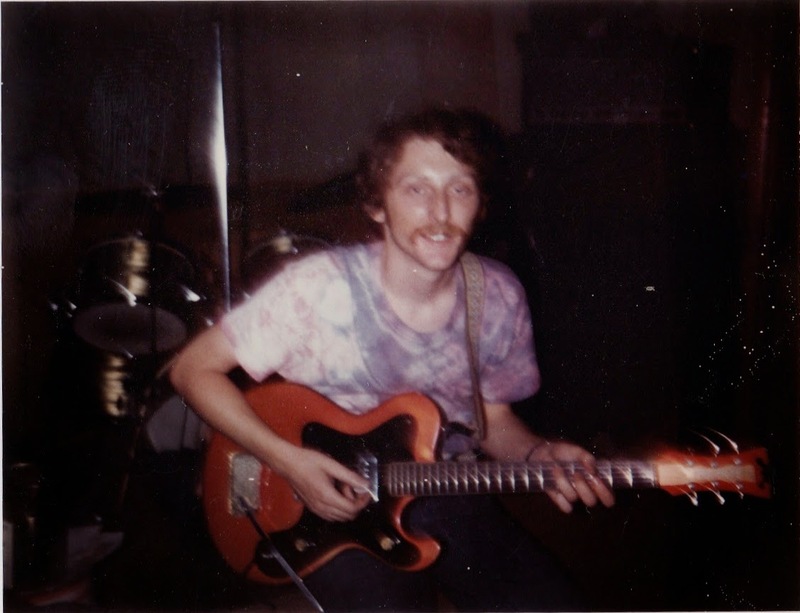 The author, circa 1975, with great ’68 Gretsch Viking. 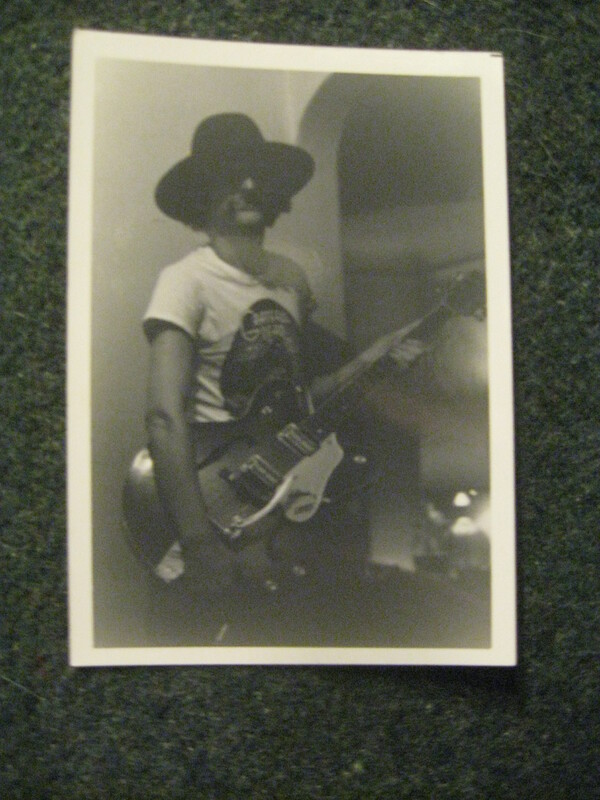 Note circa 1972 vintage Grateful Dead “Wake Of The Flood” T-shirt. When you’re as old as I am now, everything is “circa”. My Viking featured a cool mechanical “mute” which I employed to get that patented Johnny Cash sound. It was hands-down, the finest Gretsch I ever played. That is, until the night a stranger let me borrow his baby: an amazing Gretsch White Falcon! We Stampede Pass men were booked at a way-popular Burien, WA country music nightclub, Adair’s. We loved playing Adair’s, because we always drew a large, enthusiastic crowd of good folks who loved to dance to our music. We made a lot of friends while engaged there. I recall how, on a crowded night, after we played our first set, a middle-aged man dressed in a beautiful cowboy shirt and jeans walked up to me, while I was removing my guitar in anticipation of enjoying my short break. I noticed he had a very large, impressive-looking guitar case with him. Saying, “Howdy”, he introduced himself as “Bud”. He said, “I have something really special in here. 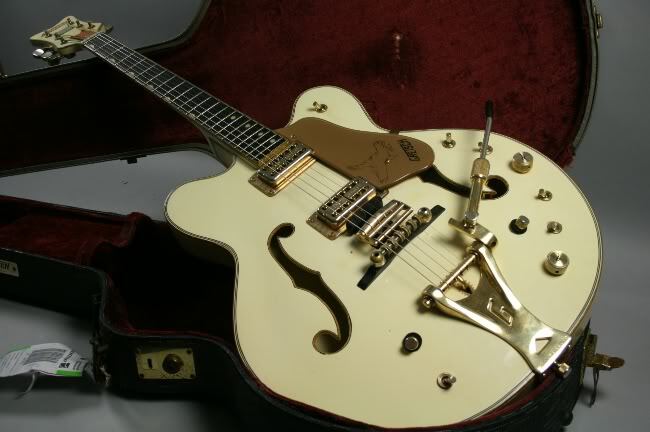 Would you like to play my Gretsch White Falcon?” Wow! 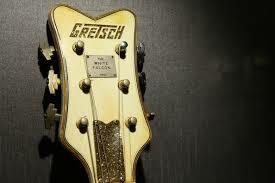 Gretsch White Falcon! 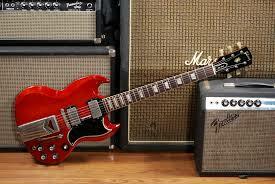 In my view, no finer guitar has been produced. 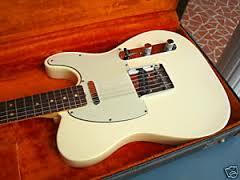 Just ask The Edge, Neal Young, Steven Stills, or any other guitar slinger who has experienced the joy of playing one. It doesn’t get much better – or maybe any better — than a Gretsch White Falcon. Well naturally, being a smart young man, I said, “Sure”. He carefully set the case on the stage, fished a key out his pocket, unlocked the case, and unlatched the four heavy-duty latches that secured the lid. He lifted the lid and stood back, while letting me take in the beauty of what lay within: the most incredible instrument, cradled by the case’s plush, deep purple lining. The contrast between the purple lining and the pure white of the guitar, made the instrument stand out just that much more. I gently coaxed the masterpiece of guitar-making from its cocoon, tuned it, plugged it in to my 1970’s Fender Twin Reverb amp, and forgot about my usual intermission routine of grabbing a beer and “working the room”. Instead, I warmed up on the Gretsch White Falcon, completely absorbed in getting the feel of it. When the rest of The Pass players finished their break and reconvened on stage, we grabbed our instruments and launched into a set of dance tunes, fast and slow. I imagine we played “Blue Eyes Crying In The Rain”, “Southern Nights”, plus other examples of the standard country nightclub repertoire. All the while I was playing what I hoped were dazzling leads on the borrowed guitar. I made sure to announce to our audience that I was playing the World’s Greatest Guitar, a Gretsch White Falcon. I must say, it practically played itself. My fingers played effortless leads I didn’t even know I had in me. Having had to endure watching Dry Gulch play lead guitar with Willie Nelson when The Man sat-in back in 1977, I felt like this was my “payback”. It was my time in the spotlight! And, everything was going great. The crowd packed the dance floor, The Pass was cooking, the Gretsch was singing. — But suddenly, near the end of the set, Bud appeared in front of the stage, and shuffled over to me. Bleeding profusely from his forehead, with bright red blood covering his face and dripping onto his fancy cowboy shirt, obviously in great pain and sorely embarrassed, he managed to blurt out, “I’ll take my Gretch White Falcon.” I sadly removed and handed Bud his fine ax; he put it in its case, hoisted it, and walked out of Adair’s. I never did find out what the heck happened….